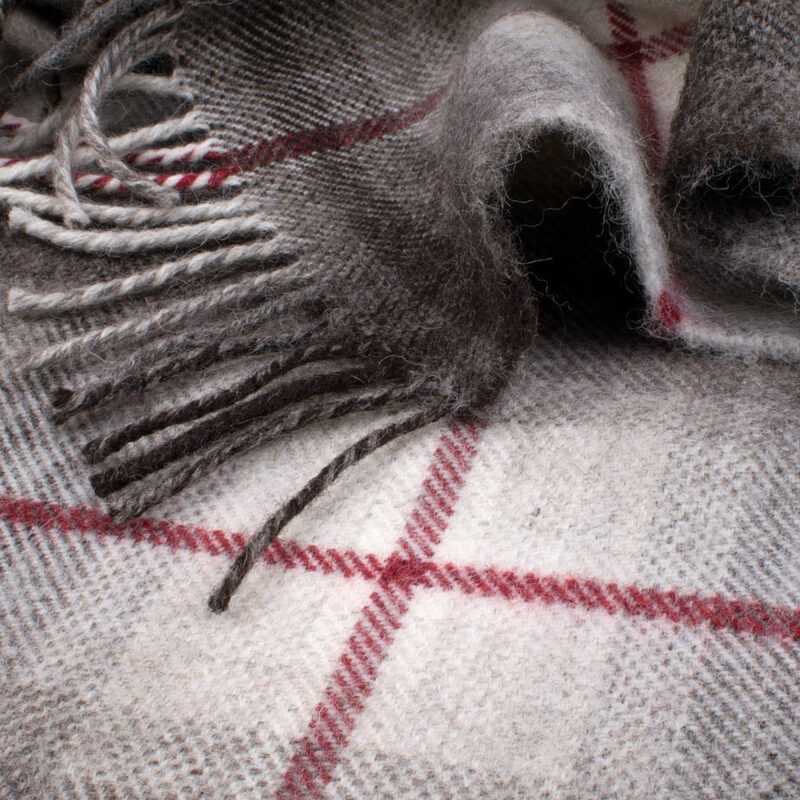 Throw woven from natural un-dyed sheep colours crossed with a bright red check. 100% Pure New Wool. Woven by bicycle pedal-power on the Isle of Skye.